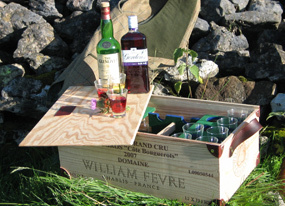 The perfect accompliment to a days shooting, a trip to the local point to point, or a day out, these drinks boxes are designed to accommodate your favourite alcoholic (or non-alcoholic) tipple. 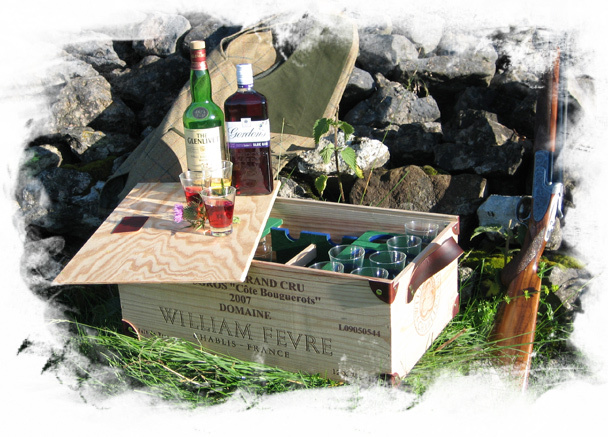 Created from original pine wine boxes, trimmed with quality leather fittings and internally lined with baize, these drinks boxes are the perfect way to share a drink to make that enjoyable day that little more special. 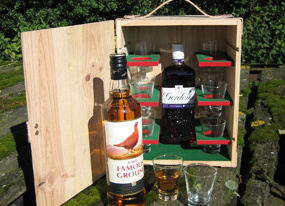 Supplied with 3oz shot glasses which can be supplied with ‘shooting peg numbers’ on the bases if required. 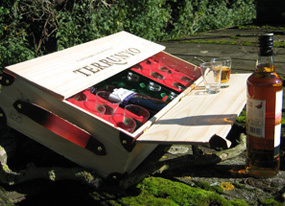 Produced in a variety of shapes, sizes and styles to accommodate a quick ‘elevenses’ tipple, to an afternoons celebration for a number of guests. Peg numbers can be applied to the base of glasses if required. Please choose this option when ordering.